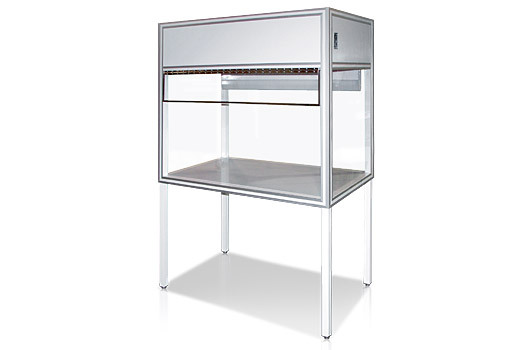 Laminar flow hoods are typically used to protect a process or operation from contaminating airborne particles. 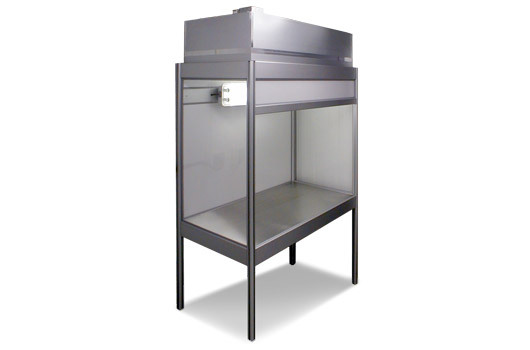 Lasco Services offers two standard laminar flow hoods: a free-standing model and a tabletop model. Both units have extruded aluminum framing with polycarbonate or acrylic side and back panels. The HEPA or ULPA fan unit for both units requires 120V and has a sound rating under 60db.